A Night in The Museum was a very good night indeed! 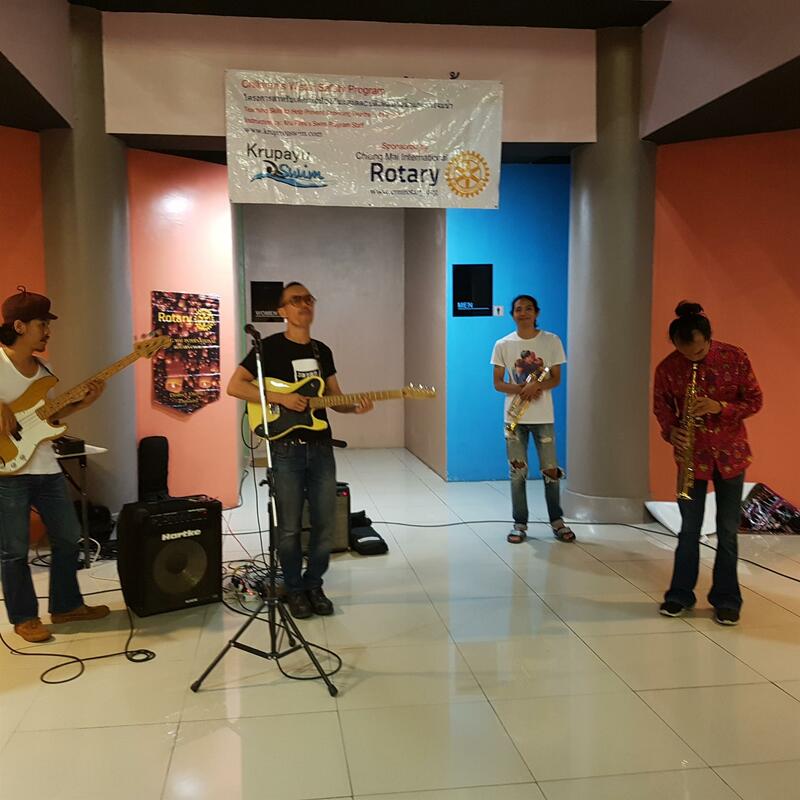 On Friday September 30th, Chiang Mai International Rotary Club hosted our charity event called A Night in The Museum. Kudos to the Team of Shana Kongmun, John Schorr and Nancy Lindley for putting it all together, many thanks to Art in Paradise for allowing us exclusive use of their unique and beautiful 3d museum and to the CMIRC members who worked so hard selling tickets and then supporting the event on the night. It was a great night. Of course not everyone had an advanced ticket. We set up a ticket sales table for the convenience of our last minute guests. We even gave them an opportunity to adopt one of our "Change for Children" owls. Cindy and Tom Johnson man the ticket sales table. Little girl decides to donate! The Duke’s provided “heavy” appetizers which were consumed with gusto. Wine Celler by T.K. provided the beverage service which was quite popular. This was an evening of fellowship and fun. 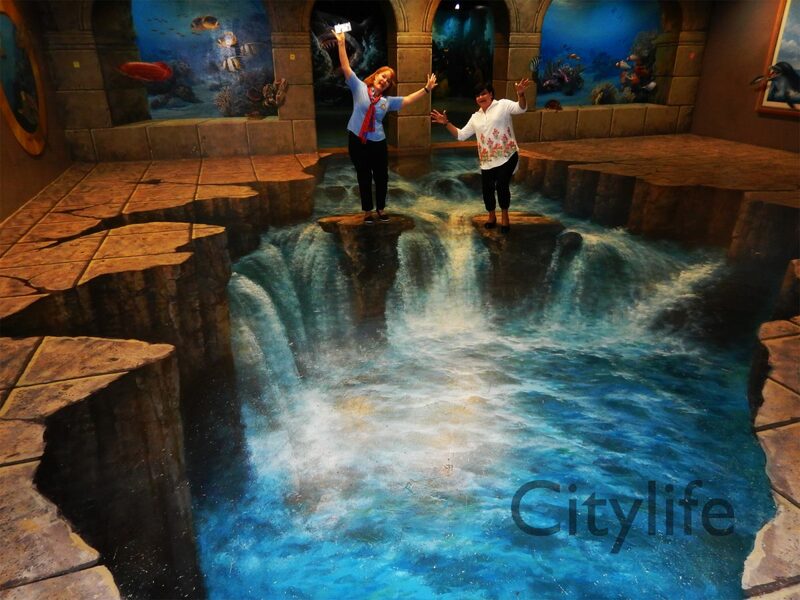 People really enjoy going through the museum. Several participated in the "scavenger hunt" looking for items that were in the various paintings. Some just stopped to enjoy particular scenes. "I really enjoyed meeting new people across various parts of the community - exchange students, foreign teachers, and other Rotary members. It was a very lively event and everyone seemed to enjoy themselves with great food, drinks, and fun"! There were three categories of raffle tickets giving the attendees the option to buy tickets for the things they prefer. The prizes ranged from two bottles of wine to a 2 night stay in the Executive Suite at the Le Meridien Chiang Mai, valued at around 20,000 THB! We would like to thank all of our sponsors who so generously provided our raffle prizes; Anantara, Bangkok Air,Dukes,Holiday Inn Katilia, Le Crystal, Perns, Rimping and Wine Celler by K.T. 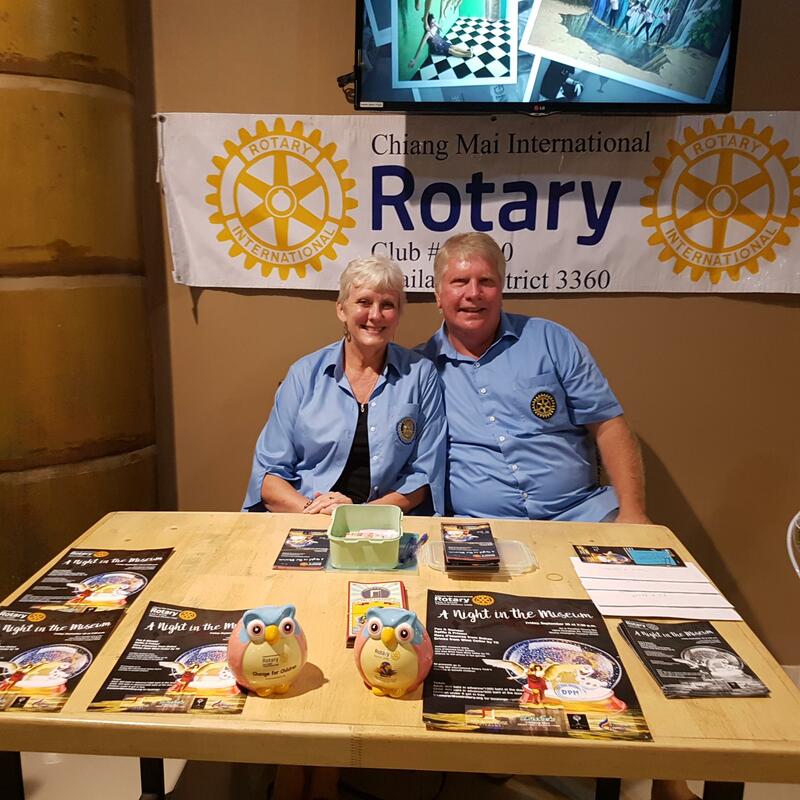 Last week we held our successful Night at the Museum event at Art in Paradise and it was great to see the community turn out and have a great time – and support Chiang Mai International Rotary’s projects for kids. Everyone in the club who was in town pitched in to help and make sure that the event ran smoothly and was a huge success. 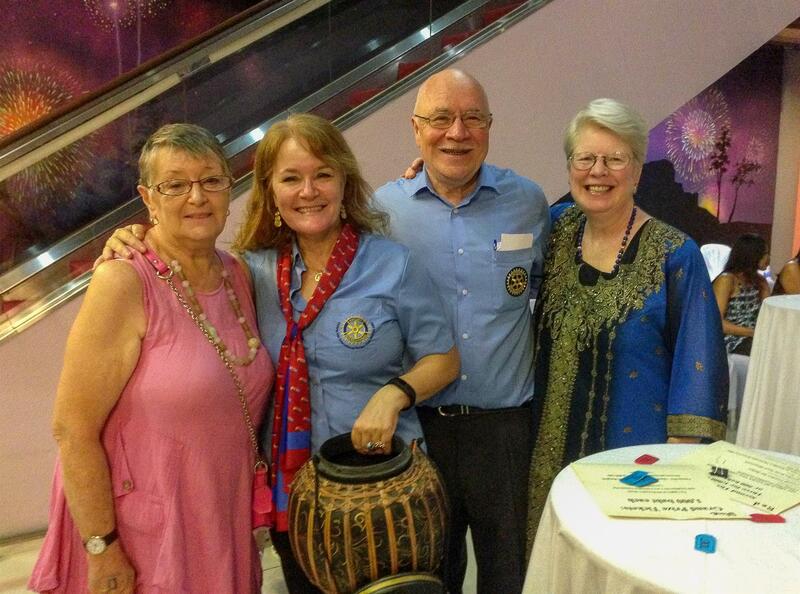 The teamwork from club members reminded me of the importance of fellowship and friendship in Rotary. 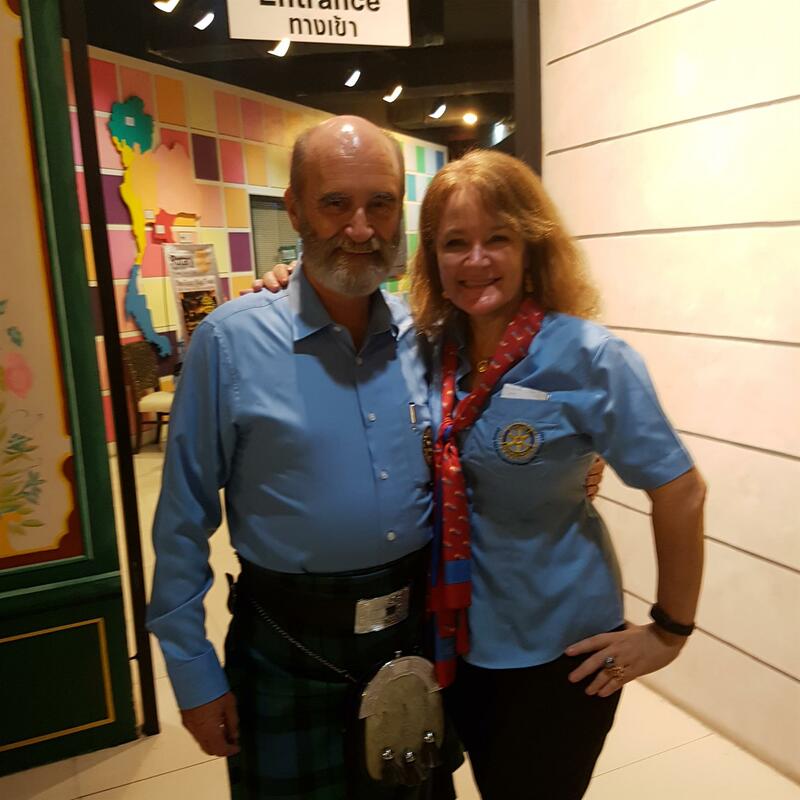 I know that they will be here to help the club when its needed and it’s friendships I’ve made and the help we offer to our community that make Rotary so much more than just a club.